i made my first batch of cookies when i was 8, peanut butter with a few burned fingers. 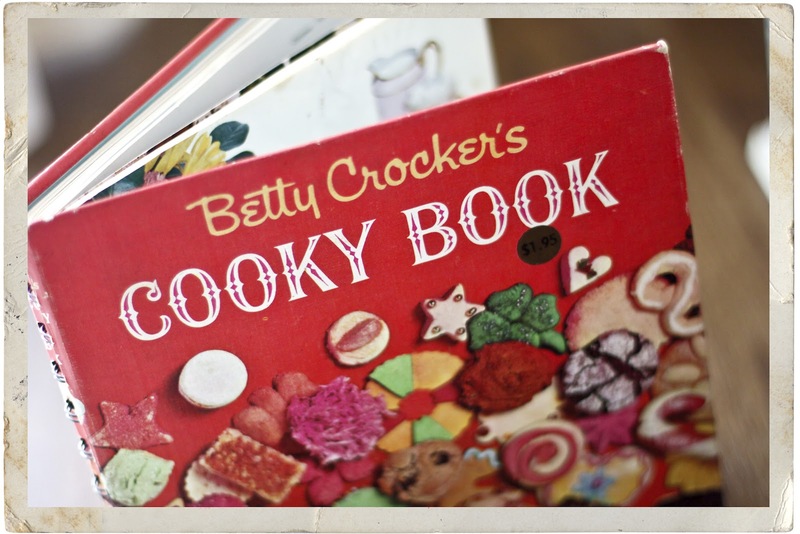 the recipe came from this adorable book, well not this exact one because that one still resides in my mom's kitchen. this book i picked up at one of my favorite thrift shops. it was quite a thrill to find the cookbook that started my love affair with baking and you know i already loved cookies! in the spirit of julie & julia, i'm planning to bake my way through this cookbook, in no particular order and avoiding any cookies that don't sound fabulous to me of course! 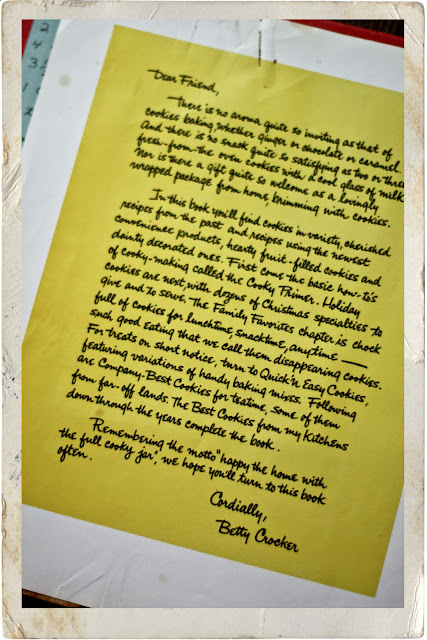 i'll try a new cookie recipe and then tell you, dear reader, all about it, because as it says in the book, "happy the home with the full cooky jar". This is too cute! I love the little saying, I think it must be true. :) And, can I add that I love the spelling of "cooky"?